Connect EA05T AVR as follows….. ADJUST VOLTAGE WITH TRIM POT, ONCE RUNNING….. 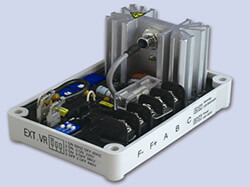 INSTALL AVR SO THAT IT IS MOUNTED CORRECTLY, CLEAN & DRY…..